Very Good. 0140142231 ALL BOOKS SHIPPED WITHIN 1 DAY OF PURCHASE! A wonderful read.. for the child in all..
Haroun and the sea of stories is a wonderful book by Salman Rushdie. Reading this book was like seeing a beautiful sunset - as the colors change, your mind is filled with awe and joy at the most simple and at the same time, the grandest beauty you can see. You see the sunset everyday and each time its magic reaches you and delights you anew. I found the same magic in this book. 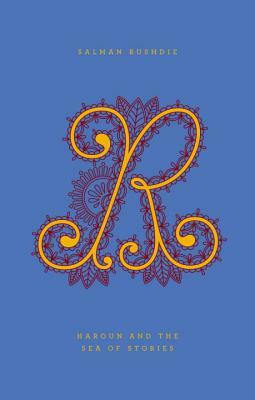 Rushdie?s use of Hindi in the book for place names and character names and references to real life places and characters in this fantasy book are both perfect. It is a story of magic, heroes, satire, hope, laughs, sad truths all in one and everyone who reads the book is left with something wonderful when they finally (if at all) put it down. This is one book that should be in both the children?s and adults? sections in libraries and bookstores. I read some sections of it to my 6 year old ? he loved it and now wants to read the whole book.